Perfect for sports fanatics or that "hard-to-buy-for" friend. Customizable Gift Certificate delivers straight to recipient's email—paperless and timeless. Recipient just needs to enter custom code for discount at purchase. Live-preview your custom message as you type. 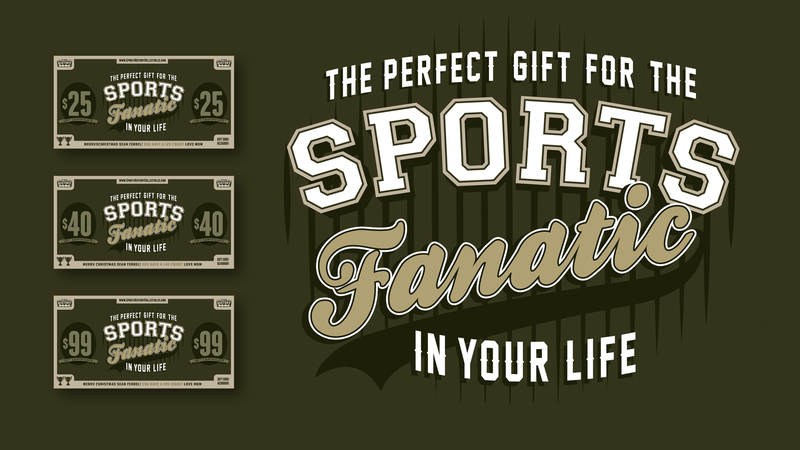 The perfect gift for the sports fan who thought he had everything. Available in denominations of $25, $40 and $99. Important: After completing PayPal if you are not redirected to this page, please click "Return to Merchant" to complete transaction!